Excessive or inefficient watering of a landscape can be just as harmful as giving too little water. The best Florida-Friendly Landscapes only put water where it’s needed, when it’s needed. Check out these simple tricks to help save water, reduce runoff, and have a healthier landscape. Leaks don’t always look like a geyser. Watch for pooling water, low pressure, and washed out areas. Avoid watering when you’ve received at least ½” of rain. 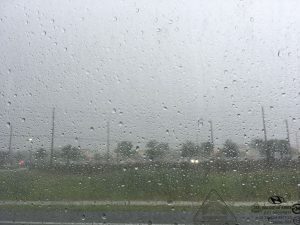 Central Florida typically receives between 46″ – 56″ of rain per year. 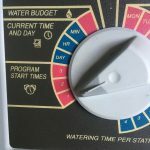 During those wet summer and cool winter months, you often need little or no supplemental watering. 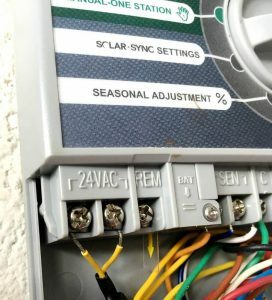 Example of a typical roof-mounted rain shut-off sensor. Soil moisture sensor display showing full saturation. Watering would be skipped. 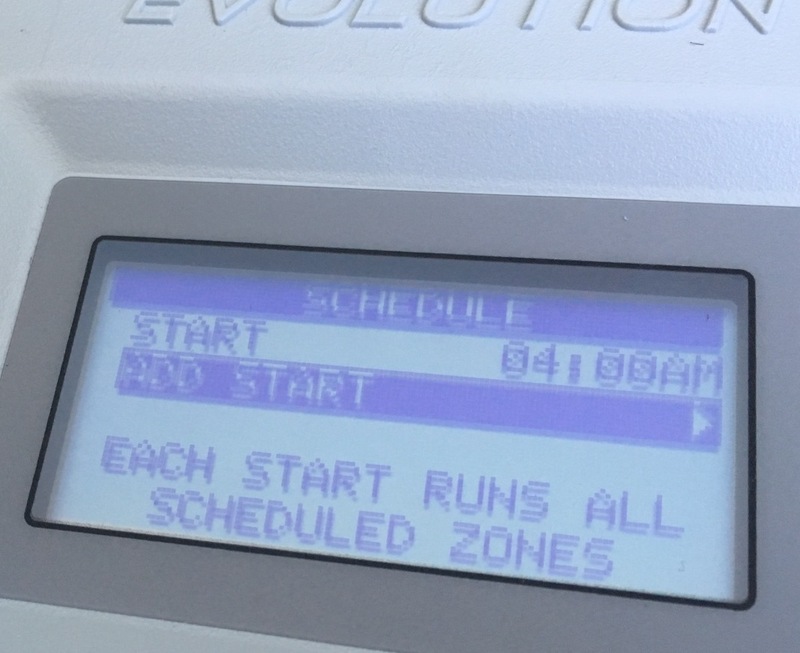 Adding extra start-times actually tells the controller to run all the zones again (and again…) Most controllers only need one start-time to run through the entire program. 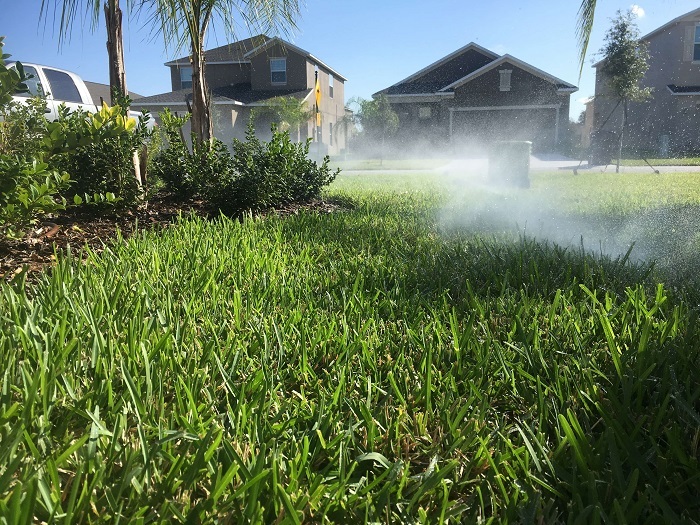 A combination of high pressure and insufficient head height can cause severe “misting” issues, as in the above landscape. More water is lost to wind drift and evaporation than is reaching the intended turf. 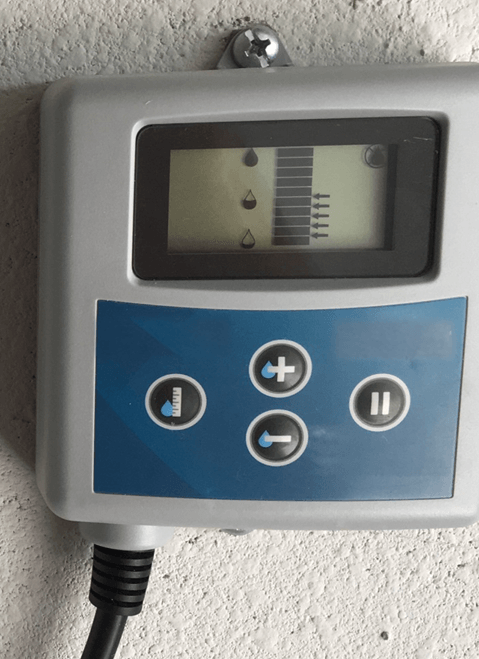 If pressure is too high, switch to pressure regulating heads. These can help reduce water lost to “misting” and wind drift. This landscape bed should be converted to micro-irrigation and run separately from the turf zones. 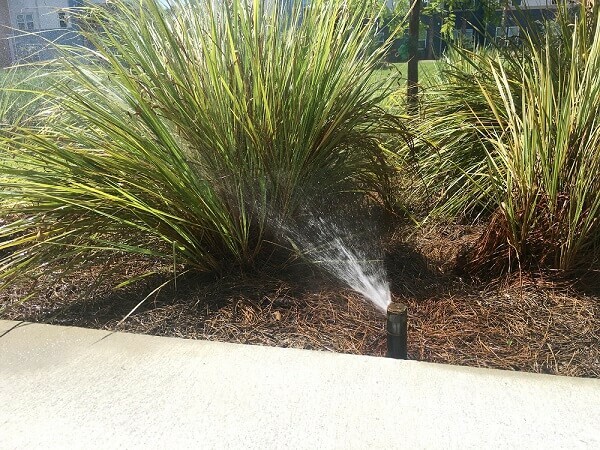 Currently, most of the water from this rotor is being wasted “pressure-washing” this poor tuft of ornamental grass! Keep turf and landscape beds on separate zones. Group plants with similar water needs together. That way, you can only water the plants that really need it, rather than soaking everything. This program will begin watering at 4 a.m. and will water all zones. 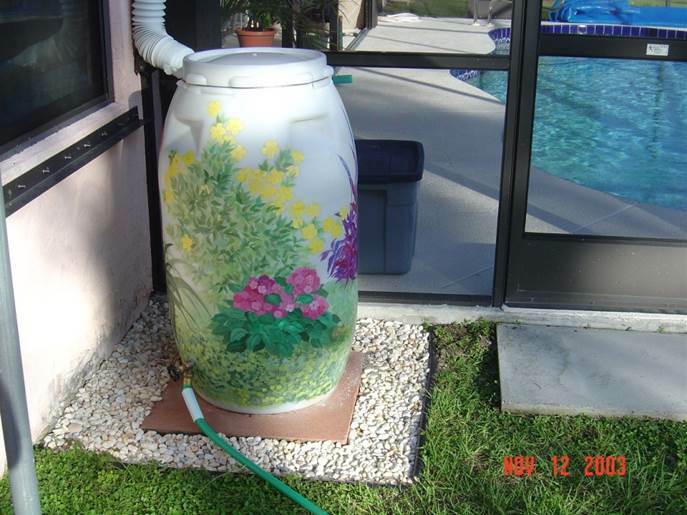 Rain barrels can reduce stormwater runoff and save rainwater for later use. Install micro-irrigation in landscape beds, or water by hand as necessary. 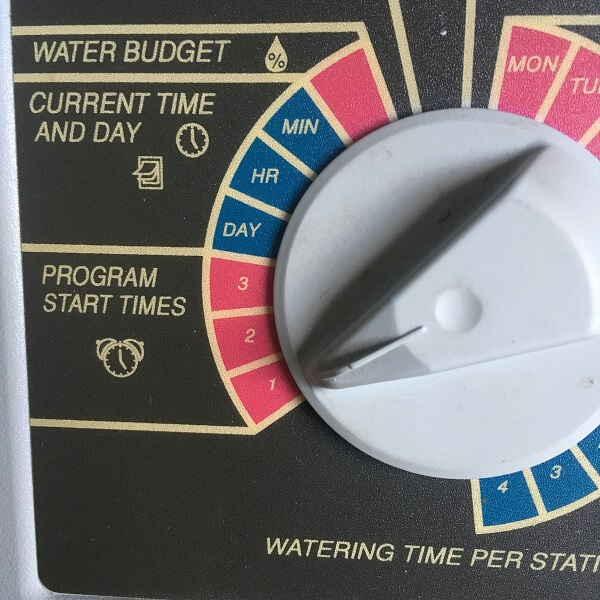 And remember – if you follow the FFL principle of “Right Plant, Right Place,” many of your mature landscape plants won’t need supplemental irrigation once established (except maybe in severe drought.) 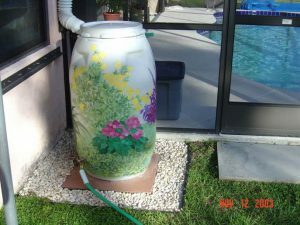 Bonus points if you collect rainwater with a rain barrel or cistern! 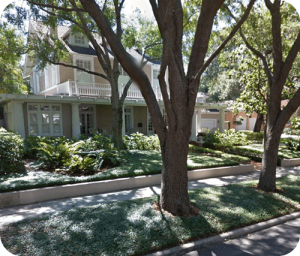 With mature oaks providing dense shade, this landscape has replaced turf with dwarf asiatic jasmine and other shade-loving plants. Compared to turf growing in full sun, turf growing in shade typically needs much less water (and fertilizer). Irrigation can often be greatly reduced, while mowing height should be increased. 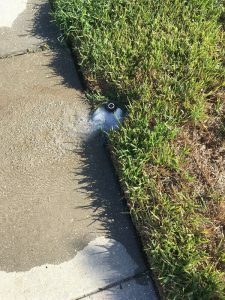 The following link contains tips for growing turfgrass under shady conditions. LINK: Growing Turfgrass in the Shade. The above excerpt from one controller’s manual shows how the plastic tab must be removed to activate the backup battery. Find your watering day. 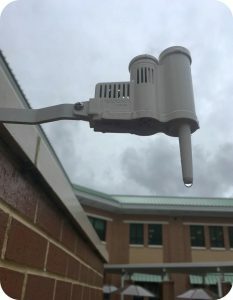 (If you live in Pasco County, find your watering day at bitly.com/PascoWatering. HOW LONG TO RUN EACH ZONE? Sprinkler application rates and system design can vary a lot. For example, many pop-up sprays can apply water twice as fast as rotors. That means your spray zone in the front yard may only need to run half as long as the rotor zone in the back! 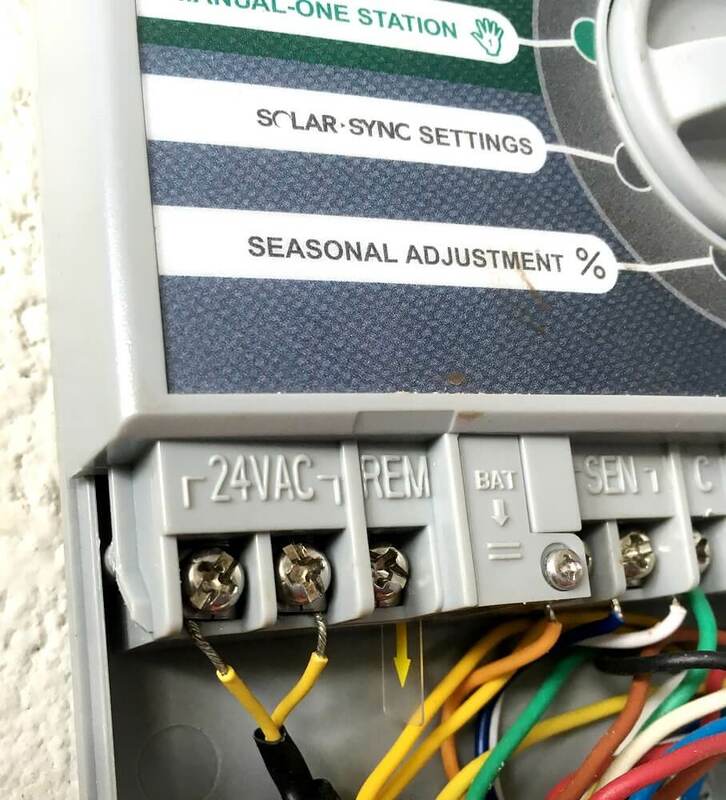 TIP: Learn how to check your sprinkler coverage and calculate the right run-time with a simple tuna can calibration. 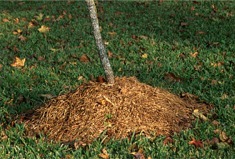 Duration – Frequent, shallow watering can encourage problems like shallow roots, thatch, and pest issues. Shallow watering can encourage shallow roots. This makes turf more susceptible to drought, pests, and heat stress. 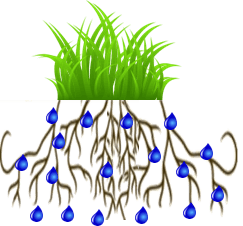 Encourage deeper roots by supplying 1/2 – 3/4″ of water per irrigation cycle. 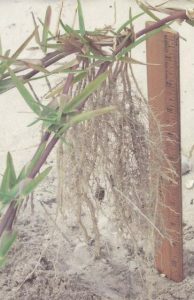 The above photo is proof that St. Augustine turf is capable of forming impressive roots (when it needs to.) This stolon had “escaped” its lawn and grown into an adjacent vacant lot. 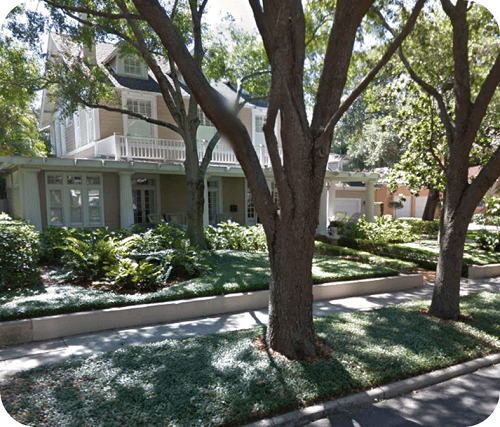 If you live in the tri-county Tampa Bay area and answered “yes” – your yard could be a winner! Each year, the Community Water-Wise Awards Program recognizes outstanding examples of water-efficient landscapes. For contest details and links, re-visit the post from last year’s call for entries. About the Author: As the Florida Friendly Landscaping (FFL) Program Coordinator in Pasco County, Frank works with the residents, homebuilders, and businesses of Pasco to achieve attractive, resilient, low-maintenance yards and communities while reducing over-reliance on irrigation, fertilizer, and pesticides. (Click to learn the 9 Principles of Florida-Friendly Landscaping!) Through an innovative collaboration with Pasco County Utilities, Frank provides on-site assistance to individuals and communities identified as high water users. He can be reached at (813)929.2716. Not in Pasco County? Not a problem! 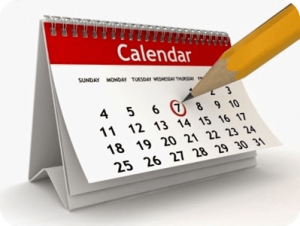 Click here to find your local UF/IFAS Extension office!